Please follow the link to watch Dr. Antey discuss why annual exams and vaccines are so important for your canine. Please follow the link to watch our Licensed Veterinary Technician, Laura, discuss why annual exams and vaccines are so important for your feline. 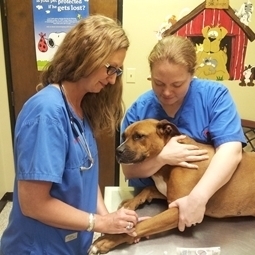 Dr. Antey discusses heartworm disease and why preventative is so important. Please watch Dr. Batey discuss the many intestinal parasites and how to prevent them. See Dr. Antey discuss facts about fleas and ticks.